Drag the slider and click the ＋ and － buttons to set the clocks. Tell the time from the clocks. 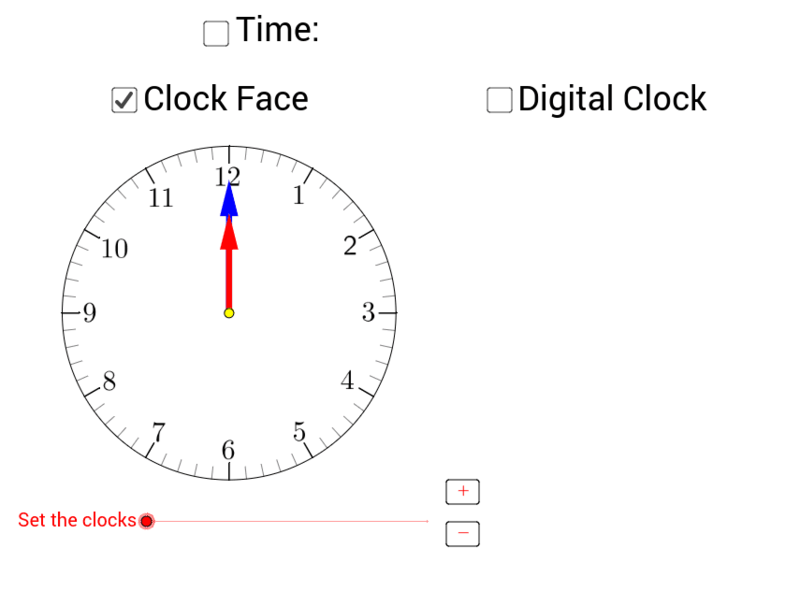 Check the boxes to show the time, the clock face and the digital clock. Anthony OR. Education Bureau, Hong Kong.